"Five Deceptions of the Old Energy"
To help the reader, this channelling has been revisited [by Lee and Kryon] to provide even clearer understanding. Sometime information is even added or condensed. Often what happens live has implied energy within it, which carries a kind of communication that the printed page does not. So enjoy this enhanced message given in Salt Lake City. Greetings, dear ones, I am Kryon of Magnetic Service. Love has many faces, and compassion is the new energy word we are seeing for an evolving earth. I've spent a lot of time with all of you, giving you messages about what is possible and what you can do in this new energy. The subject tonight is about what WAS in the old energy and the truths that you owned back then. We're going to call this message "The Five Great Deceptions of the Old Energy". Throughout all this, we are describing something that was, not that still is. Dear ones, it's very difficult to give you a basic premise without it sounding insulting, but Humans are starting to grow up. Even as I sit before these groups and sense your intuition, I can sense the questions you have. I can sense that the value of compassion is starting to show itself, and the very persons here in this room are starting to be elevated beyond what they were four years ago. There are new questions being asked that are wise and that don't necessarily reflect an older energy, yet the biggest thing, the hurdle of all Humans who are listening to this message, is how to get out of the bias of the old. It has tainted you, affected you, and has made you less than you really are. So I'm here to identify them so you can move past them. Some will sound familiar. I've never given these items in a package like this. This is a time of celebration because every single thing I'm going to tell you now is an old energy of the past. Yet, you must hear it in order to have a check-off list for you to say, "Not anymore, not now." This is also for those of you who are beginning to realize, "Well, I know we've passed beyond all these things, but I still feel a little of it inside." Dear ones, you cannot spent a life in one paradigm only to throw it away and reboot yourselves completely within a few years. You have residuals of the deceptions that you carry with you, and maybe some of you have to hear it. When children grow up, there is such innocence and beauty in their lives. There are fables and metaphors and stories and beautiful mythology that you will often give to your children to make them feel better about themselves. You give them wonderful things to believe in, and certain seasons with exciting expectations so that they will then be ready for life in a better, more positive way. Then they grow and gradually have the wisdom to drop some of the mythology and some of the stories. They see a more a profound truth. They begin to focus on that which is life and the childish things fall away. I don't want to say the words but I have to: The old energy is filled with childish things. They are things that humanity has dwelt upon in a paradigm that was deception, because the old energy paints a picture, a mythology, and I want to give it to you item by item. Each one of these is a celebration, because it's not there any longer. Number One: Here is a teaching of the old energy and the teaching goes like this: Everything repeats itself and, therefore, there is nothing new under the sun. Therefore, the future will simply be more of the past, without hope of improvement. It gives a feeling of no hope when you realize there is nothing new. This is mainly in respect to Human consciousness and Human nature. When you look forward, you only have one model for reference, and that is the horror of what has happened in the past. Dear ones, indeed, this is the way it used to be. All of the things that you had to look forward to were based on things that would come around and happen again. The old energy deception says that you will never climb out of Human nature, which brought you war after war. Many will say that you may be having a nice, refreshing break right now, but then there will, of course, be another war. This is because there always has been before. The argument for the deception is this: Why would you expect something different other than what you had? Why would you feel that Human nature would change? The old energy answer? You can't expect things that go out of the circle of Human history. Everything is always the same. History repeats. The deception is in place, even today. As you look around this planet and you listen to those who are talking, what are they saying? They're expecting the things to repeat from the past! They're wringing their hands because what has happened in the past will be the pattern of the future, and they are already expecting it. Dear ones, you've turned the page and passed the marker, which the ancients gave you as prophecy. You're starting to accelerate that which is your intuition and your wisdom, and you are beginning your evolvement into areas that you've never been before. This future before you has never been written. It is not on the track of the past at all. With every single one of these deceptions, I'm going to ask you to rewrite them in your psyche. Right now you can say, "Dear Spirit, I understand this. I know that the future has been rewritten and is filled with the purity, beauty, and compassion of new change. I know that I can steer my life into that beautiful, serene ocean that's never existed before called my future." That is the new energy that is here! You can also say, "I hereby drop the deception that the future has to be something I've seen before. What's coming is totally fresh." Number Two: You cannot get ahead. You've tried and you've tried, but there's always something that will beat you up with your goal, including yourself. You feel that there is a plateau that you will reach that is almost there. Then something always happens to rob you of what you need. The reason given for this is because the dark energy of this planet has always kept you in this box. Therefore, there's a complacency that says, "This is good enough." Friends tell you differently. They say, "This, or something better. Be more positive about yourself." You say, "Well, that's a nice thing for you, but I know the reality of the paradigm I'm in. I'm not going to be able to go above a certain level. I never can get ahead." What a deception this is! It's built in an older energy to keep you in line, dear ones. The deception is an old energy tool to keep you from seeing a larger truth. If humanity feels it's stuck, it will be! Do you know how easy you are to control by others when you never think you can get above where you are? Easy. It is no secret that there have been many who have controlled you for years. They control the planet and whole economies, and you even have names for them. They have been successful for centuries because of an older, darker energy, and because you are deceived to feel you'll never get beyond a certain point. That's all it takes - resignation and fear from the public. The new paradigm developing since 2012 erases that completely and says that you are beginning to awaken, literally, with a remembering Akash. What it "remembers" is that you are powerful and can create another reality. It's starting to tell you, "There are talents here for you that you've never had before in this life, that are starting to show themselves. You're on a path you've not seen yet that will take you light years ahead of where you are now. Anything that you wish to accomplish in this energy is possible, with the wind at your back." Here is something to verbalize: "Dear Spirit, I will never give verbiage to can't again. Dear Spirit, I know that there are things for me beyond which I can imagine. No matter how old I am, I know that I can go further than I ever have gone before. In fact, I'm already there, because I am part of the shift and not part of the older deceptions." Number Three: You're not worthy. Oh dear ones, even some of the most recent channels I've given landed upon this theme in a profound way. How do I do this yet again without insulting the child inside of you? How could you ever believe from anybody that you were born dirty? How could you believe this when inside of you is the grandness of the creator? It's all around you - God inside! How could somebody say, "You don't deserve God"? Would you say that to your children? Visualize your child in front of you and say, "You're born dirty. I won't love you until you do something to earn it." Would you say that to your children? Would the creator of love do this to you? How childish this deception is, yet it is the paradigm of a planet within an old energy of unawareness - in the dark - and that is where you've been. Humanity is so willing to believe these un-God-like things, and has gone with it so greatly and so grandly for centuries that even though it has no spiritual logic at all, it is accepted. Again and again we've told you that you come in with a bias of unworthiness, and for emphasis, everyone around you who is important tells you that's correct. Some are so biased that they believe they are not worthy of even being on the planet itself! Then the mantras begin: "God doesn't love you because you are dirty. All humanity does not deserve the love of God." Dear ones, that is a deception. It is the biggest lie from the old energy that has ever occurred on this planet. It keeps you in fear and in the dark. Children might believe this deception, but not an advanced race of Humans who are awakening to the truth of who God is - and the fact that Humans have this divinity within them. This is "made in His image"! You are worthy to be here! Take a deep breath and say, "Not only am I worthy, I am very worthy." Never before in the history of humanity have you been as worthy as you are now to solve the problems of this planet and to go into a situation with no world war in the future. You will be a civilization that can start compassionate action. Ignore everything you see on the news! This is because it will drag you down. The news only reports the old energy, did you notice? All that is on your broadcasts are almost exclusively in alignment with the old energy. That is because that particular paradigm has not died for them. In fact, they are married to an old paradigm of broadcast that is slowly dying, and they will notice this soon. Old soul, you know better. You're worthy! Sit there for a moment and know that you are worthy. Every master who walked the planet has told you this - God inside! The almighty God that created this galaxy has created you in a beautiful image of itself. So you might take a moment, take a breath and say, "Unlike the old energy and the deception that I had, I no longer buy into that which I was told. I was born into magnificence because I have God inside and all that I see is made from God. I see God everywhere, in everyone, and I honor this beautiful truth. I am worthy to see it, and I am it. Amen." That was number three. Number Four: This deception is so profound and obvious that I've said it for more than 26 years. So profound it is, yet so misunderstood. Why would you ever take the almighty love source of the Universe and give it Human consciousness? God is not a Human! There is nothing more pure in the Universe than the love of God. You have no concept of how pure it is. It is beyond your reasoning, beyond anything that you could fathom. The power of love is the creative energy of life itself. Love and compassion are the pure elements of God and there is nothing else. So how is it that "modern" thought has God's history as featuring wars in heaven, or "fallen angels through disagreements with God”? Then you are told, "God is not happy with you because you did this and that. In fact, God is about to punish you forever because you did this and that." How Human can you make God? How dysfunctional can you make God? Do you understand the mythology and the child-like consciousness believing that God acts like a Human? Did it ever occur to you that this might be a full deception? God is the creator of the Universe. God consciousness is light years from the way a Human thinks, yet so much of what you believe or have been told has God revolving around judgment, punishment, and the horror of a torturous afterlife for you and your children. None of these things are from God. All of them are from lower Human consciousness, pasted upon the idea of God. Dear ones, it is a paradigm of an older energy that creates a mythology that God is just like a bad Human father. Born magnificent and worthy, you are! The image of God, you are! That is the Human Being. You were born into a divine plan that gives you choice between light and dark, free choice to see the God within or not. Rewrite what you were told, who God is, and see it accurately. From the first breath of your birth, God is as a benevolent parent that is so divine that there is only love no matter what you do. You didn't arrive here to be punished! God gives you only help and benevolence, no matter what you do. With free choice you can do anything, but when you have the free choice to see who God is, your life starts changing and you start to see the immense beauty that has always been there of a true partnership with the Creative Source. It is impossible for God to judge you. Did you realize that Humans have made God spiritually dysfunctional and far worse to you than you would be to your own children? A Human Being would never do to their children what you believe God is doing to you. Use your wisdom and God-given spiritual logic and awaken to a truth that is magnificent and filled with compassion and love and beauty. Who is God? Is God the creator of the Universe and part of your very cells, or some kind of entity who looks upon you in a way that creates fear and the specter of Hell forever if you fail? It's time to see this deception and know that the truth is spectacularly different and filled with the splendor of a loving, benevolent, and personal God. Number Five: Darkness is in control. This is related to number two, but enhanced. You have seen it in the wars and the dictators who seemingly had the full support of evil. You've seen it all through humanity when a Human chooses darkness instead of light. Low energy has always been in control, and the Human race has been manipulated for money. You have been told this all your life. The deception today it that this is still happening, that the Human race continues to be manipulated as it has all through its existence by those who were powerful and greedy and wealthy. Dear ones, the residual of this is still here, as you slowly are awakening to a higher truth. But you should know that light is winning. Darkness is no longer in control of this planet. The evidence is not subtle, and if you think it is, what happened in the '80s when you didn't get your prophesied war? What happened when you turned the corner and you did not have the Armageddon in the year 2000? What happened in the year 2012 with the celebration of passing the marker? You were told it was the end of time! Hardly. It was instead the "beginning of a new time". This is no longer an earth controlled by the dark. It's awakening way past any of the old prophecies, yet the deception of control from the dark is still ingrained in you, isn't it? Conspiracies still abound, even if the core is now missing from their source. Dear ones, you might take a moment to proclaim this new energy as an affirmation: Like all the other deceptions from the past, you might take a moment to say, "Dear Spirit, I am in control of my life. Light is in control of this planet and slowly it will illuminate the shadows, chasing the dark away like it never has before. Light is winning in this new energy." You will never think again that darkness is in control, for you will begin to see a planet starting to come into a new way of thinking, where compassion is a far greater element of interest than drama. 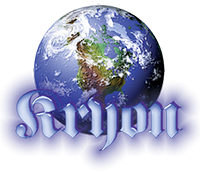 There are those who will hear this channel and say, "Kryon is like a 'Pollyanna channel'. Everything is just fine. The planet is going to be sunny and there will be plenty of light and solutions for everything." Dear ones, that's not from me! It is the prophecy of the ancients! You are beginning a journey into light that was a message of prophecy inscribed onto a multitude of rock walls and pyramids. It's the prophecy of the Precession of the Equinoxes, and the prophecy of the Eagle and the Condor. It's the reason I'm here. As you pull out the new tools that you are being given, they're going to be frightening to a darkness that has been in control. There will be institutions who will fight you who continue to be invested in greed and darkness. This battle has begun, and what's happening slowly is that they will lose ground and you will then understand what I'm saying when you see it. In closing, I'm going to tell you two things: (1) The old soul has the wisdom to pull this off, (2) but the old soul will also have the challenge of dropping the bias of the old deceptions. The youngsters who are just arriving will not have this bias and it's going to show. They will look at some of you and actually say to themselves, "What is wrong with you?" They've never experienced that which is being unworthy. They have an Akash that is remembering good things. Their goals for future are bright, and they see only that they can create anything. Meanwhile, they look at you wallowing in the corner, worrying about everything, and expecting the worse. The youth have the perception without the old energy experience, so old soul, it's about time you learned how to drop the old so you can lead the way. This is what is at hand at the moment. The new energy is changing even as I channel. The battle for dark and light is at hand. We told you it was coming, that there can be no more fence-sitters and light is winning. It's very easy to say - now go discover it, for it's there to be seen! It's a celebration isn't it? All the deceptions I've discussed are past tense. None of what I've said is accurate for the paradigm after the shift of 2012. Go find it, dear ones, in love, and as you do, you'll see the beautiful hand of Spirit take your own and realize I'm right. I'm right. The center of the Universe has a consciousness of love that is the Creative Source and it lives within you every day. Can you smile with that?